I love cocktails, and over the Christmas/New Year/My Birthday two week period I bought a lot of limes to make myself some cocktails. However, I did not make the cocktails (partied with sparkling wine instead) so now I was left with a lot of limes. So off I went looking for a cake to make with the limes and I came across this recipe. 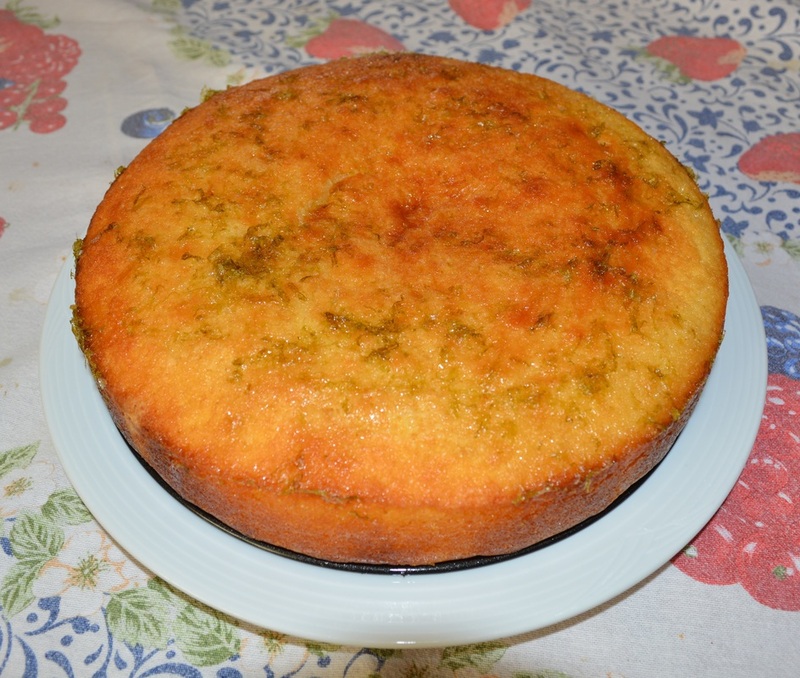 I had already made orange and lemon versions of this cake, so I figured lime should work to. It did. This cake is so easy to make, a bit of a melt and mix cake. It has a lovely fresh taste, the syrup adds the fresh burst of lime flavour and I do like the coconut in it. My family loved it. 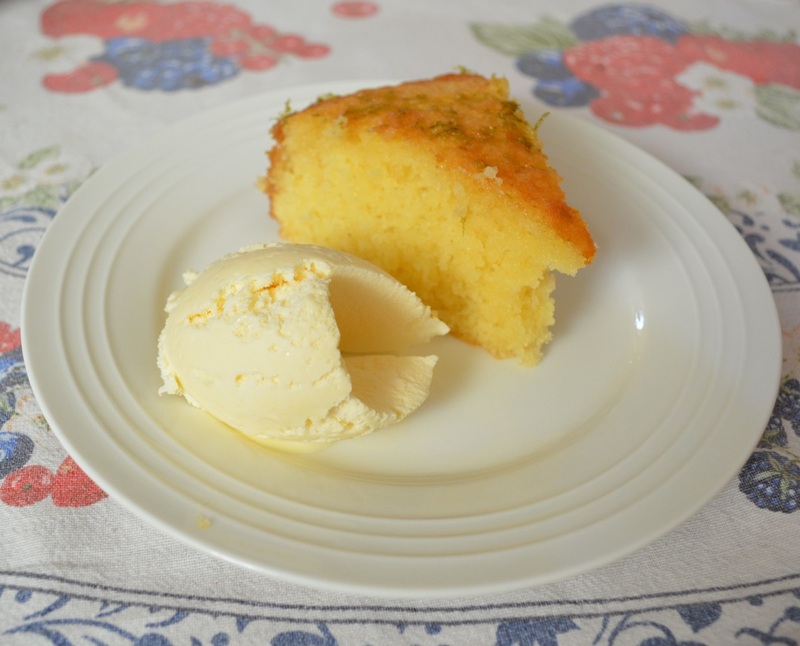 Me and the kids loved it with vanilla ice cream, my husband prefers it with Greek yoghurt (as the tart yoghurt cuts through some of the sweetness of the cake, and he really loves Greek yoghurt). You will only need the rind of 3 limes, but you may need more than 3 limes to get 1/2 cup juice. I will make it again, as it was lovely and I'm sure my fruit bowl will have limes I need to use up again. Preheat oven to 180C. Lightly grease and line a 6cm deep, 22cm round springform cake tin with baking paper. Melt the butter in a small saucepan over medium heat. Transfer to a large mixing bowl. Add the eggs to the butter, one at a time, giving it a quick whisk between each addition. Add the milk, whisk to combine. Add the flour, sugar and coconut, whisk until combined. Pour the mixture into your prepared cake tin. Bake for 40-50 minutes or until a skewer inserted into the centre comes out clean. Make the lime syrup: Combine 1/2 cup lime juice and the sugar in a small saucepan over medium heat. Bring to the boil. Reduce the heat to low and simmer for 5 minutes or until syrupy. Turn off the heat and stir in the rind. Poke the cake all over with a skewer to make small holes for the syrup to seep into. Pour the hot syrup over the hot cake. Allow the cake to cool in the cake tin before releasing the sides of the tin. Cut into slices and serve with vanilla ice cream or greek yoghurt.